Everybody loves a damn good haunted house movie. 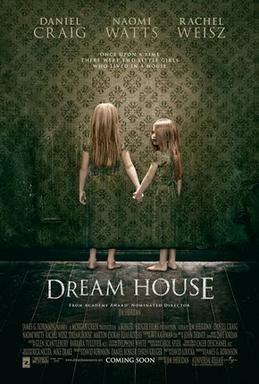 Scary films where the protagonist is involved in a supernatural occurrence in a spooky house are usually box-office winners, but sometimes the directors, actors and even the production team get it wrong and inadvertently create something that is either clichéd or, even worse, unconvincing. Dream House starred Daniel Craig, but when the studio decided not to let the press view it before its release, we knew something was a-miss. Unfortunately, the film just isn’t original enough and it suffers from using the typical ‘young girls holding hands’ horror film cliché, which just isn’t scary anymore. And this criticism was fully-justified when it actually made a loss at the box-office. Stick to James Bond films, Daniel. 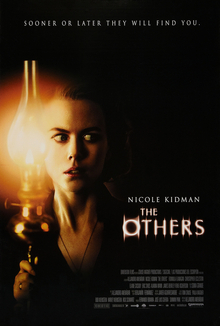 There’s no doubting The Others was a popular and successful film, but is anyone really believing the house as haunted? It’s a period house, yes, so the directors have done well there, but haven’t we seen all that ‘creaky floorboard’, ‘old wood doors opening’ clichés before? It seems like they really did run out of ideas. Thought 3D was a modern fad? 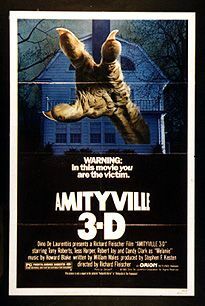 You’re wrong, as the 1983 film Amityville 3D was, indeed, a 3D film – and it sucked. If the bad 3D technology wasn’t enough, the clichéd house burning down at the end of the film was, Amityville 3D just wasn’t a convincing enough horror film with the house and the questionably acting. Not one of the horror film ‘must-watch’ collections. Never heard of it? That’s because it was bloody awful! Atrocious by name, atrocious by nature; this film is not convincing at all. Apparently, the film is based around a family who was found dead in their home and the police found 37 hours of footage of the murders. A production company then buys the videos and turns them into a film. But it doesn’t work. It’s just bad. Take the name of the film seriously. It may be suspenseful, but it’s not convincing. Moving home? Chances are you’ll want to have nice neighbours, but hey, there’s always that possibility that you’ll be next to a family of serial-killers. 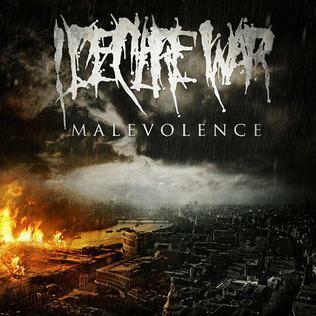 That’s the type of plot we have here with the 2004 film, Malevolence. It received bad reviews because of the unconvincing nature of the house and the production. Not the best. So there you have it: some of the worst and unconvincing horror and haunted house moves ever. Some may have been financially successful while others panned, but one thing is for sure: they’re all very worthy of their place on this list. It’s not that they’re bad films, but the houses and the basic plots do have flaws. And in an age when there is an abundance of films, especially in the horror segment, it’s unsurprising that we’re all becoming picky with the quality of our films. We expect to be entertained! This list of cinematic turkeys was brought to you by the Policy Expert home insurance advisors. For guidance on finding the right kind of insurance policy for your home, check out their site for full details of their services.